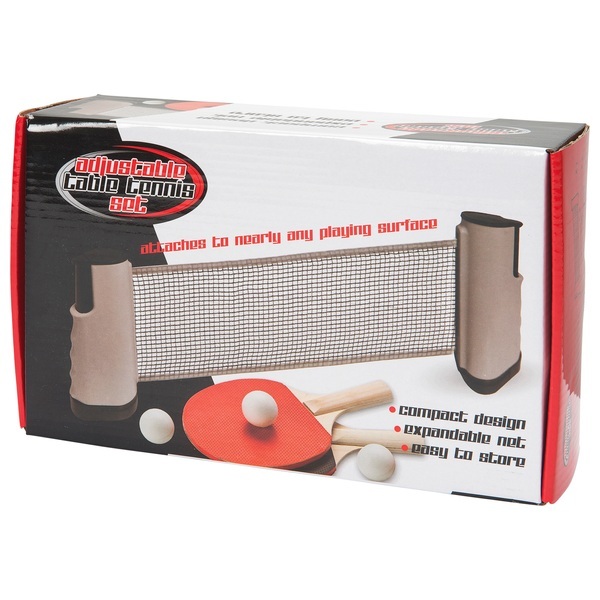 Adjustable table tennis set which connects with ease to nearly any table. Simply stretch the net to the required length, press the buttons and slide the posts onto the table. The net retracts back into the posts and can be tidied away with ease.